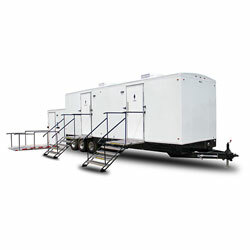 We’ve rewritten the rules on portable sanitation, particularly when it comes to special events. Whether you are planning a backyard picnic for ten or a large metropolitan marathon for thousands, our team of sanitation experts will ensure your event comes together flawlessly. 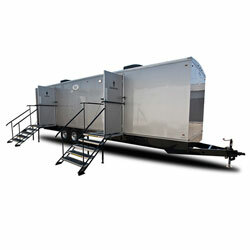 Renting a temporary restroom facility has never been easier! Give the VIP treatment with a restroom facility that not only meets your needs, but also features the comforts of home. This restroom is a family-friendly facility that provides plenty of interior room for those with special needs. Ideal for outdoor events and festivals, this 22-gallon sink provides guests with a safe place to wash their hands. These custom-tailored trailers find the perfect balance between privacy and luxury while also providing a truly unique experience. The Blue Star trailers are equipped with unrivaled design and innovation to surpass all expectations, with versatility being key. This trailer is furnished with harmonious hardwood floors, ambient audio controls and flattering LED lighting which shines above the rest. 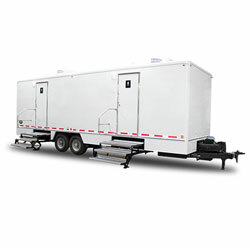 These trailers are ideal for commercial applications where high demand usage may be in effect and where special accommodations are required.